Allan says that something smells rotten about the account, that something, somewhere, must be compromised. Is that an absolute? 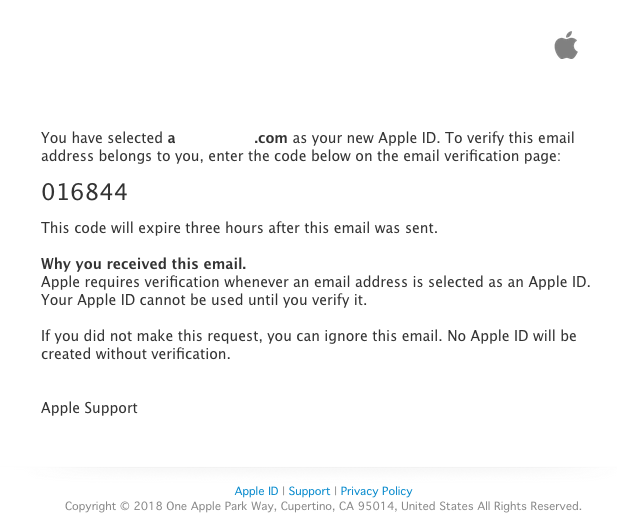 That, in order to create an Apple ID, that the e-mail must be authenticated? My name is Jennifer, and I am one of the Senior Advisors here with the iTunes Store Support Team. After consulting with the adviser handling your request, I have taken ownership of your case so that I can work directly with you, and answer any questions you may have. I understand you’ve received an email about someone using your email to create an Apple ID using a device you do not having. I would want this reviewed as well if someone was using my email, allow me to help. As we have no means to contact out to the person who create the account, as this is only an ID in the system, not a full account to be associated to any downloads or purchases. I would use the site iforgot.apple.com to begin the process to gain access to this account and reset the password and associate it to your own device. An Apple ID must be a valid email address, protected by a password that is an alphanumeric string of at least 8 characters, and case-sensitive. When a user creates a new Apple ID, Apple will send a verification email to the email address that the user provided during registration. The user is required to follow the URL that is included in the verification email to activate the account, then the user will be able to use their Apple ID. It is possible to create an Apple ID without specifying a credit card. My question: what happens if, in the best case scenario for me, some one got a nice iPhone for Christmas, and simply entered my e-mail by accident? Is the account ever activated? Is it in a sort of limbo? Which is concerning, to say the least. So, to clarify, might it be possible that this is a mix-up? Or, because I received the activation code the other day, that my e-mail has been compromised? A bit less concerned now that I seem to be speaking with a person at Apple. Still, curious. It occurs to me that I just received the e-mail about the iCloud account being created; not sure that's the same as an Apple ID creation. It's not impossible that I created an account long ago, but unlikely. I'll look for other e-mails from Apple. In the answer to your previous question on this topic, it's answers the question directly in the verification email sent out by Apple; it's the very last sentence. I've included the same picture here, but larger for your reference. What should I do if I get email about my account claiming to be from Apple?